CXR hosts a night of live music in solidarity with our trans siblings, donating all proceeds to the excellent kids charity MERMAIDS, who "campaign for the recognition of gender dysphoria in young people and lobby for improvements in professional services." 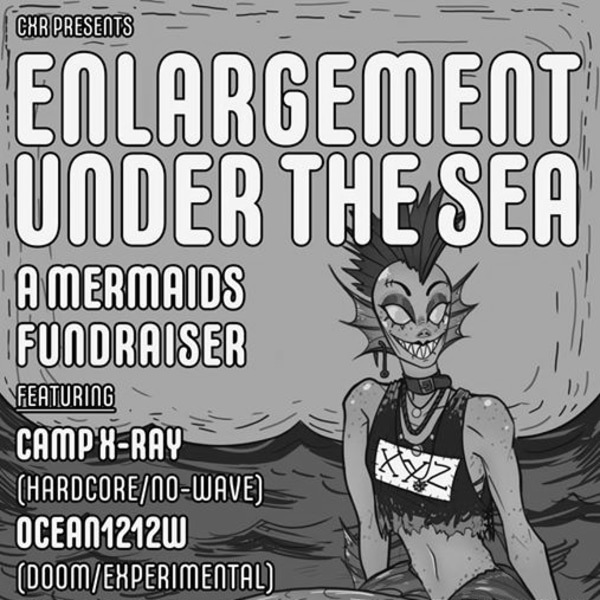 This gig is not only to raise money for a very worthy organisation, but to spread the message that anti-trans bigotry, and any discrimination against LGBTQ+ people, is not welcome anywhere on the scene. CXR play to diverse, inclusive audiences in shithead-free zones. The night will feature CAMP X-RAY, OCEAN 1212W and CHILD'S POSE, three of the UK's best alternative music offerings. DJs and drinks til late, come on and kick our heads in.